Facts: Client was ticketed for driving 92 mph in a 70 mph zone. Result: Alabama Speeding charge DISMISSED after negotiations by Kreps Law Firm Traffic Defense Attorney and upon completion of driving school and payment of court costs of $113.00. Client did not appear in court. Facts: Client was ticketed for driving 90 mph in a 70 mph zone. Result: Alabama Speeding charge DISMISSED upon completion of driving school as negotiated by Kreps Law Firm Traffic Defense Attorney. 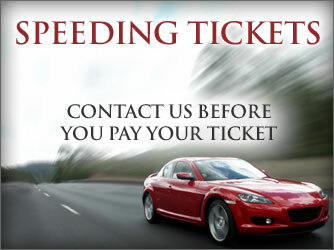 Facts: Client was ticketed for speeding 85 mph in a 65 mph zone. Result: Alabama Speeding charge DISMISSED after negotiations between Kreps Law Firm Traffic Defense Attorney and prosecutor. Client completed Deferred Prosecution Program (6 month period of time free from any major criminal charges) and paid fine and court costs of $213.00. Result: Charges REDUCED after negotiations with prosecutor by Kreps Law Firm Traffic Defense Attorney to speeding 75 mph in a 70 mph zone and payment of court costs of $183.00. Client did not appear in court.